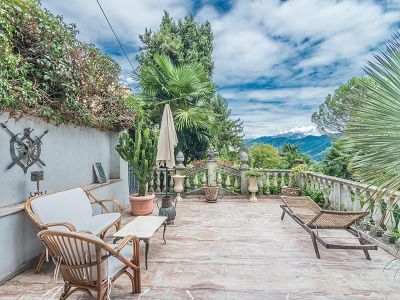 Stunning Estate with Staff Annexe and Two Guest Villas overlooking Lake Como with Parkland, Pool and Tennis Court. Fabulous Lakeside Property for sale with main dwelling, 9 independent apartments, private jetty and garden. 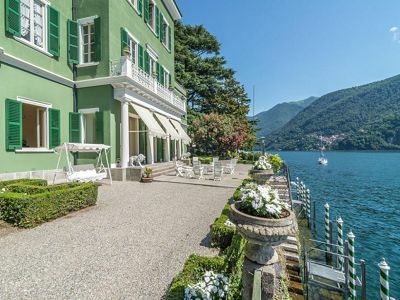 This vast waterfront property which includes 9 independent units further to the main residence is in a beautiful location in Brienno on the west shore of Lake Como with enchanting garden and jetty. PRICE REDUCED - Magnificent property of the early 1900's surrounded by fabulous parkland. 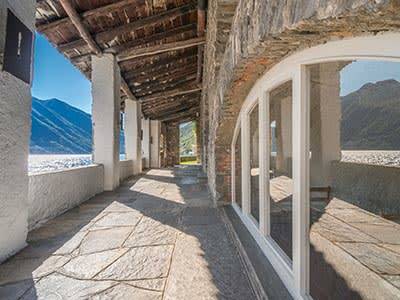 The villa has many beautiful features including entrance hall, fireplaces and spectacular finishes.